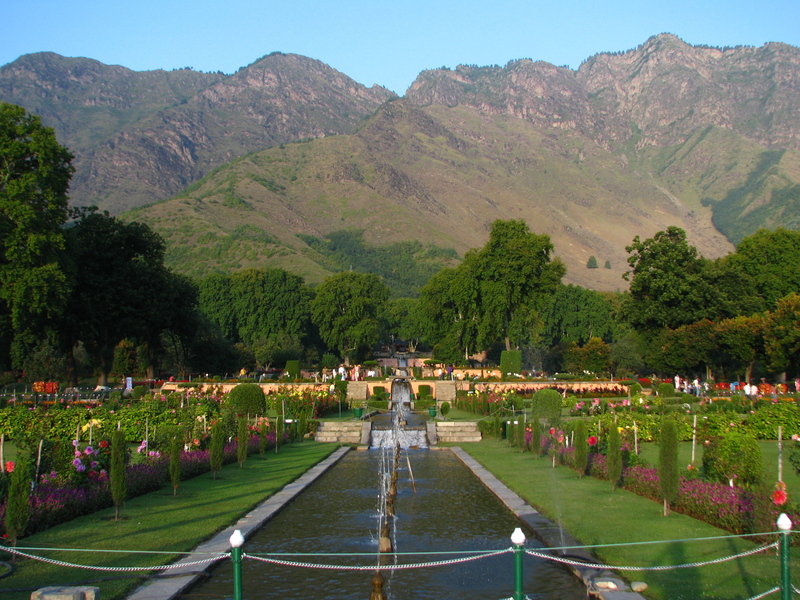 The brother of Mughal Empress Nur Jehan, Asif Khan laid the Garden in Srinagar in 1633. 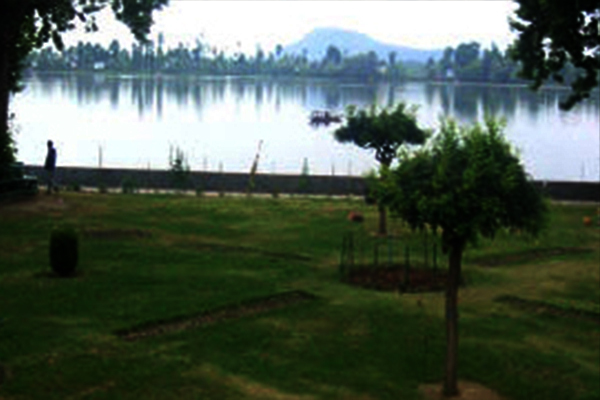 Set on the banks of world famous Dal Lake, in the backdrop of Zabarwan hills, this terraced garden offers some magnificent views of the lake. The Garden has a beautiful water channel flowing right through its middle. Not a minute in the garden can be dull with its gorgeous Shikara rides up to the Nehru Park from here. The favorite picnic spot of the natives, a long walk amidst the lush greenery of this well-planned Garden refreshes oneself. 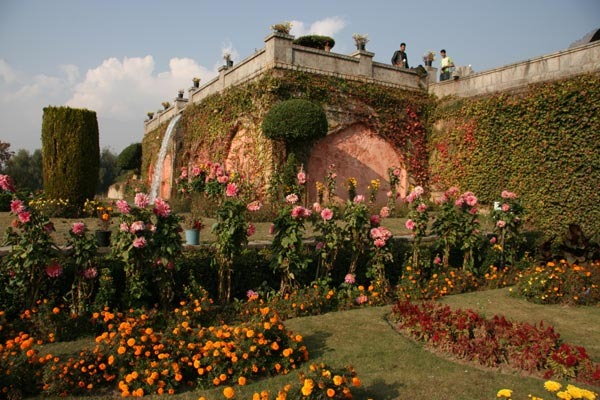 Emperor Jehangir built this beautiful Garden for his beloved wife Nur Jehan. It has four terraces and stretches across 539 by 182 meters, watered by the Harwan through canal lined with beautiful fountains. The fourth terrace is the best one and was once reserved for royal ladies and innumerable varieties of flowers bloom in spring and autumn. The Bagh was built by Mughal Emperor Jahangir for his wife Nur Jahan, in 1619. 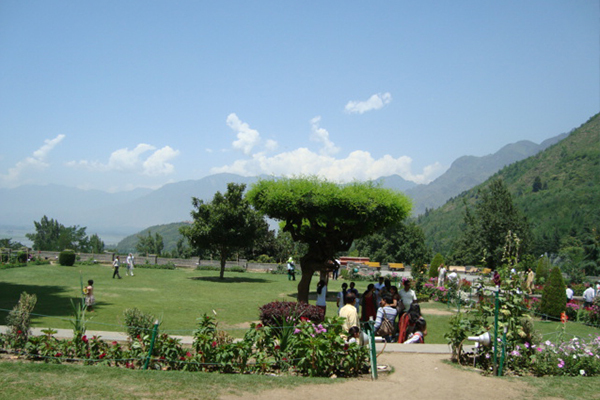 The Bagh is considered the high point of Mughal horticulture. It is now a public park. 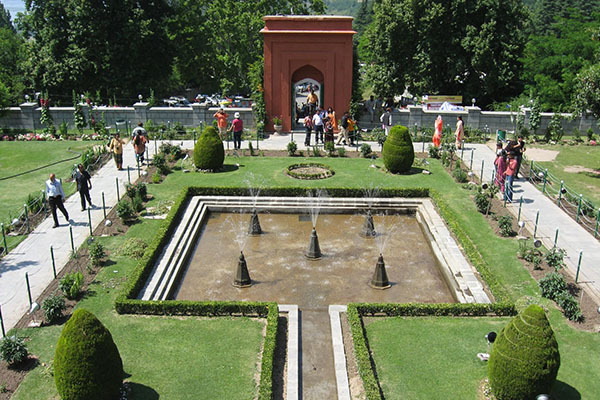 Shah Jehan laid the Chashmashahi or the Royal spring in Srinagar in 1632. Renowned for the spring of refreshing digestive mineral water, this terraced garden has fountains in the middle and houses multiple kinds of fruits and flowers plants. The tall trees of Chinar can also be seen here. The picnic delights and long walks in the gardens, strolling hand in hand with your partner and treating all your five senses with the unforgettable pleasures are just a modest account of the place. 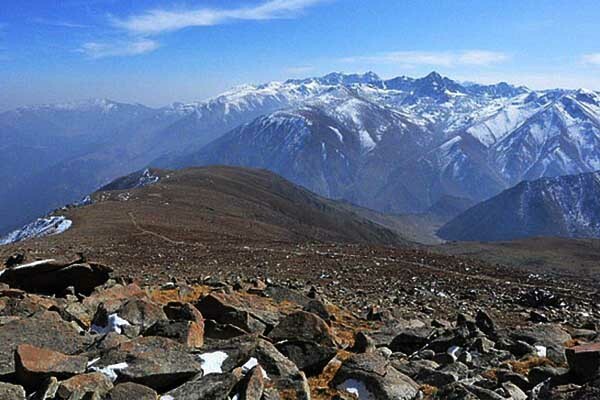 The First stage is called KANGDOORI HILL which takes u at an altitude of 3050m above the sea level. 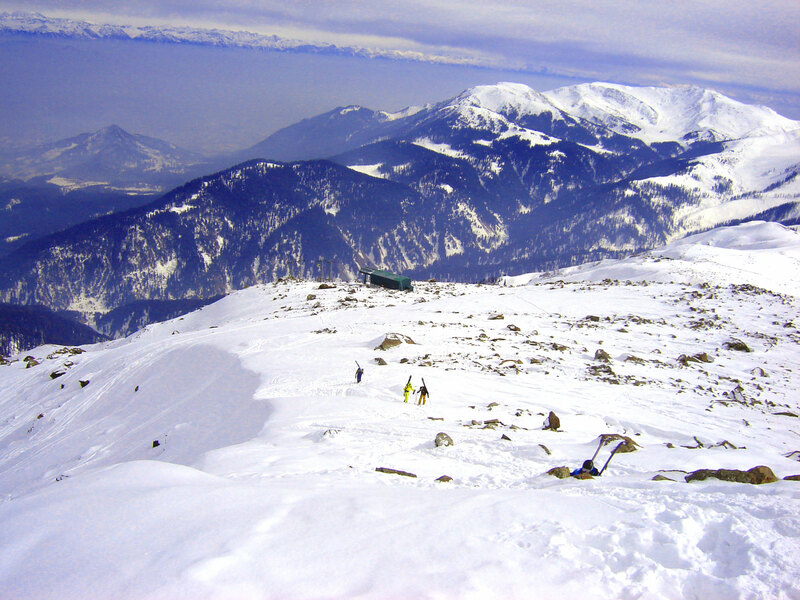 The first stage transfers from the Gulmarg resort at 2,600 m (8,530 ft) to Kongdoori Station in the bowl-shaped Kongdori valley. The second stage of the ropeway, which has 36 cabins and 18 towers, takes skiers to a height of 3,950 m (12,959 ft) on Kongdoori Mountain, a shoulder of nearby Afarwat Peak (4,200 m (13,780 ft)). The erstwhile royal observatory, Pari Mahal boasts of a well planned and is just a five-minute drive from Cheshmashahi. The place also houses a Buddhist monastery of the olden times, converted later to a school of astrology by Dara Shikoh, the eldest son of Mughal Emperor Shah Jehan. This ancient monument retains a dream-like quality, illuminated at nights and placed on the very edge of a mountain casting its reflection in the waters of the Dal Lake with a well-laid spacious garden in front. 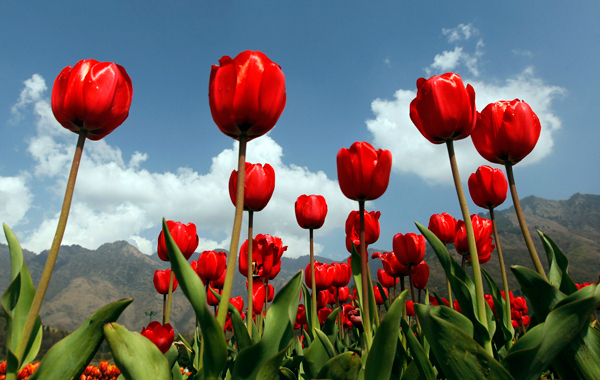 Tulips have come to Kashmir in a big way. 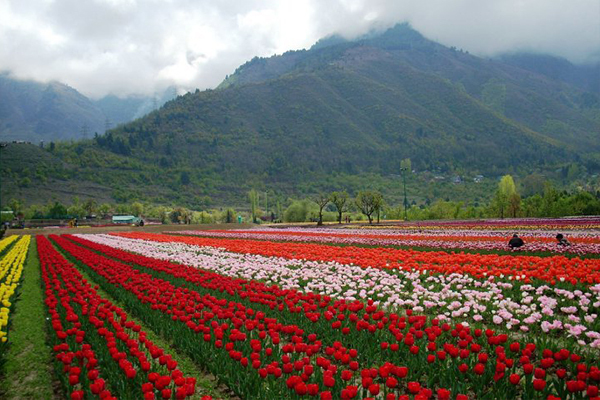 Asia's largest tulip garden at the foothills of Zabarwan hills and on the banks of the famous Dal Lake is in full bloom. The garden, fashioned after and inspired by the world famous tulip gardens in the Netherlands, is the brainchild of Chief Minister Ghulam Nabi Azad. He ordered its creation last year to add not only more colour to the idyllic Valley but also add to the state coffers through the sale of tulips and their bulbs. 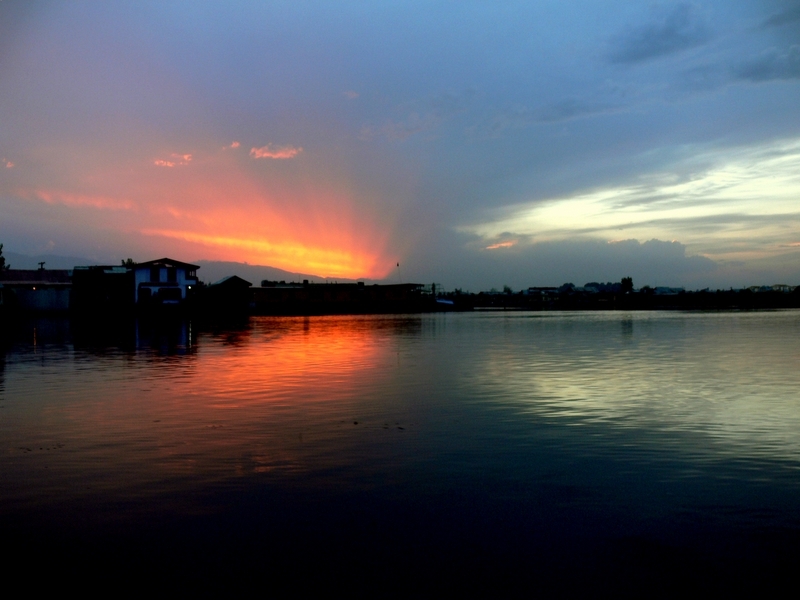 The urban lake, which is the second largest in the state, is integral to tourism and recreation in Kashmir and is named the "Jewel in the crown of Kashmir" or "Srinagar's Jewel". It is a busy and yet beautiful lake,6 Kms long and 3 Kms wide, in the eastern part of the city at the foot of Mt.Sridhara. You can picnic on the islands that dot the lake,spend the entire day cruising around the lake in the elegant shikara,visit the Mughal Gardens or simply sit on a houseboat baloncy observing and absorbing. 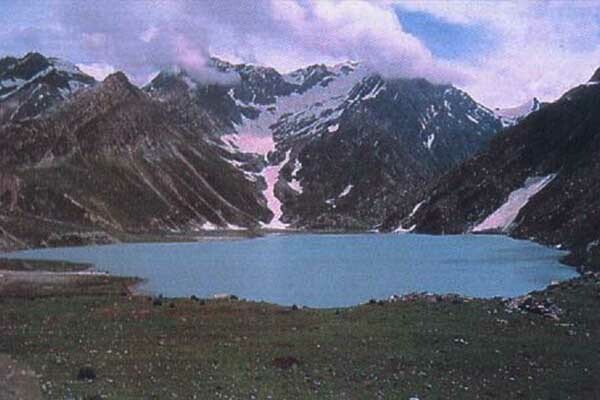 From Sonamarg in Jammu and Kashmir , the distance of Zoji La Pass is 9 km (5.6 mi). The pass functions as a major link between Ladakh and Kashmir. 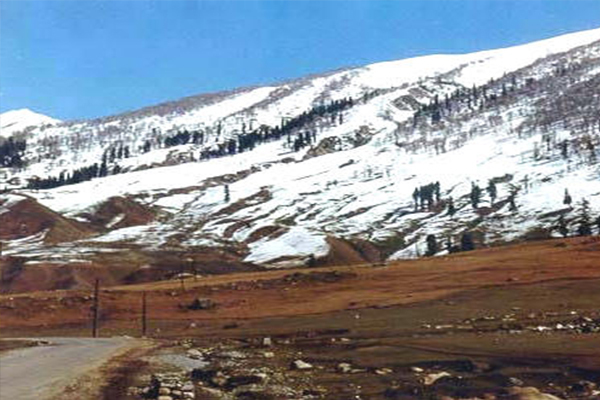 The pass is situated at a height of about 11,575 ft (3,528 meters). 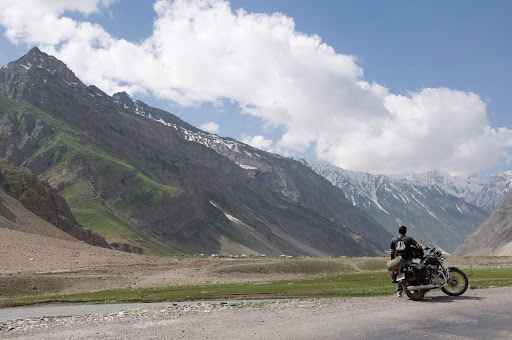 The Zojila Pass ranks as the second highest pass in India subsequent to Fotu La Pass situated on the National Highway between Srinagar and Leh. The pass usually stays closed during the winter months, however the Border Roads Organization (BRO) is operating to boost traffic for the greater part of the year. 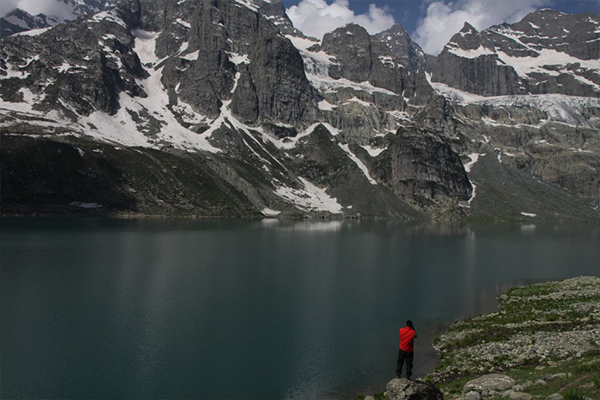 Gangabal lake, also known as Harmuk Ganga at a height of 3570 m above sea level is a popular attraction in Sonamarg. In Hindu tradition Gangbal is also called Harmukut Ganga, and it is believed that this place is as pious as Haridwar. 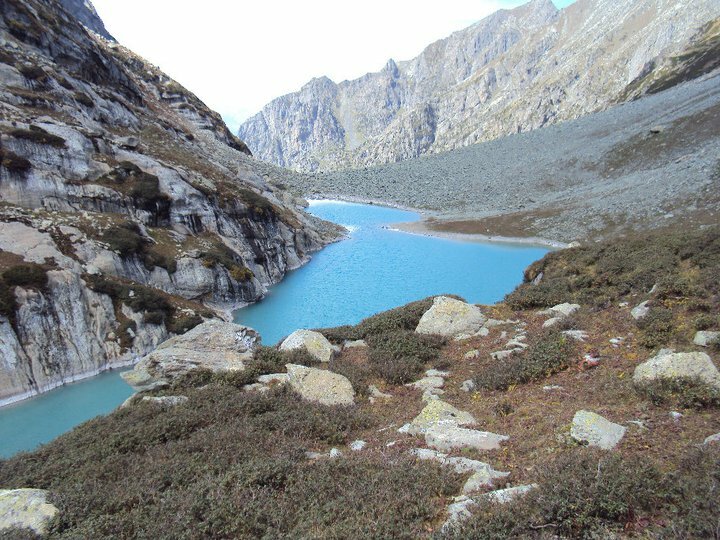 Also a popular spot for rainbow trout fishing, the lake can be reached from Sonamarg via Krishnasar and Vishansar, after an enjoyable trek through enchanting scenery. The trekking season is from July to October while the fishing season extending from March to October. 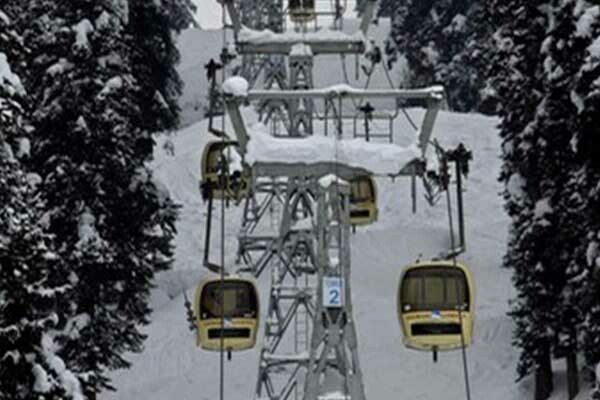 The wonderful attraction in Gulmarg is the Cable Car ride, which is also known as Gondola Lift/Ride (1 km west of Gulmarg’s bus stand). 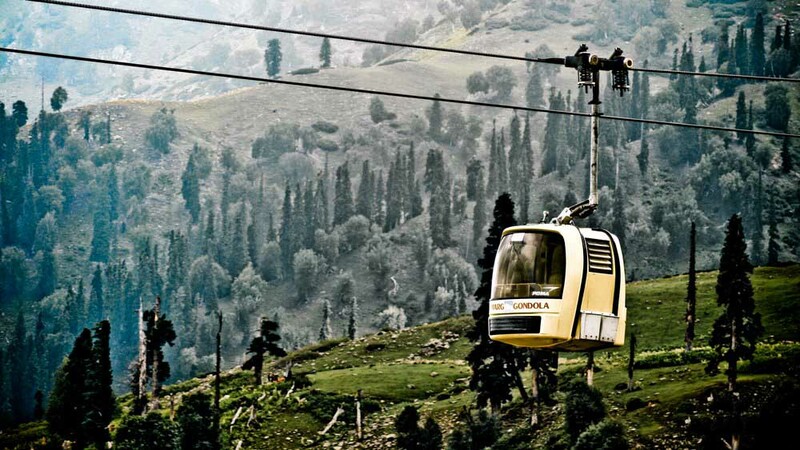 Jammu and Kashmir State Cable Car Corporations manage the Gulmarg Cable Car ride. The Gondola passes over the pine forests, starting from a height of 2690 m above sea level and rise up to 3090 m while reaching Kongdoor. The majestic view of the lush green hilly terrains and the panoramic views of the picturesque surroundings offer the greatest experience for a tourist. Nilagrad is the place where confluence of a mountain river and Indus river takes place. The locals believe that the water of this river, noted for its reddish color, has curative powers. On Sundays, people throng the banks of the river to take a dip in its medicinal waters. 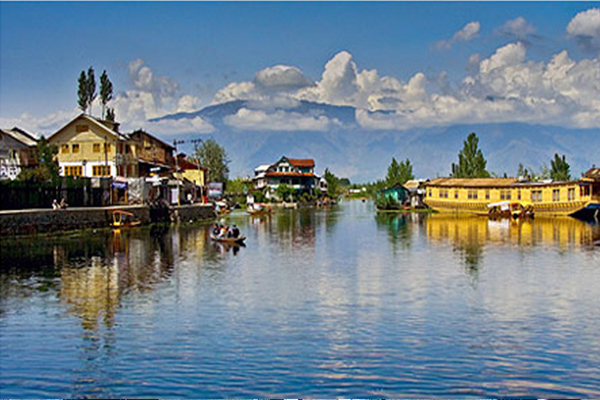 The region is bounded by other lakes and picturesque meadows and thus is an ideal destination for family holidays. 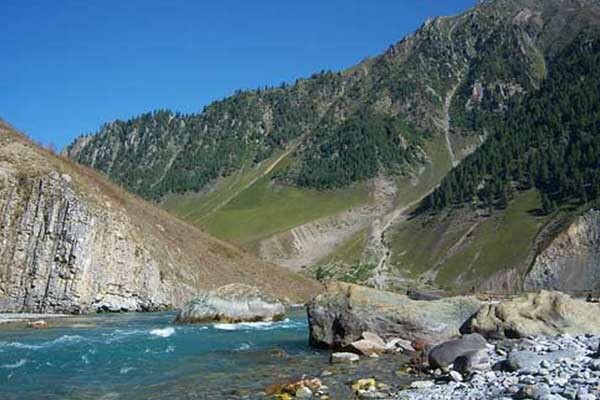 Nilagrad is the place where confluence of a mountain river and Indus river takes place. 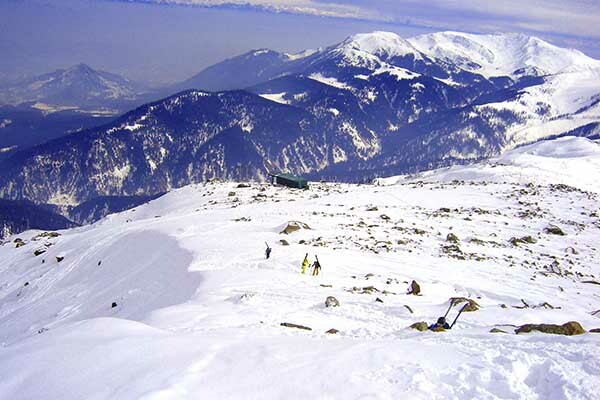 When you are taking the cable car [Gondola] from Gulmarg up to the Afarwat Mountains, you will see the Shepherd huts on the slopes of the Afarwat Mountains. These huts act as temporary shelters for the nomadic shepherds of this region. If you want a closer look at the huts, there are trekking/hiking trails from Gulmarg up to the Afarwat Mountains and some of these trails will pass by the shepherd huts. This is best done during the warmer summer months. 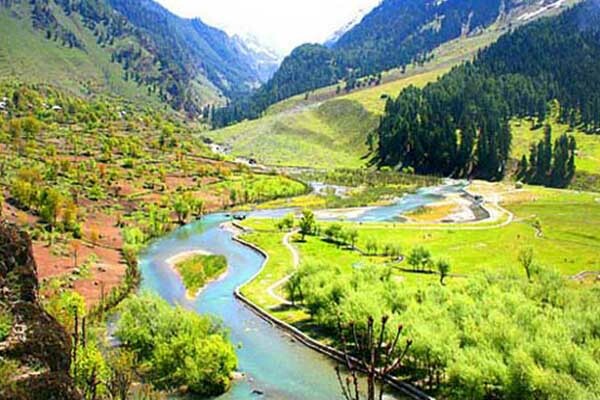 Betaab valley is situated at a distance of 15 kilometers from Pahalgam in Anantnag district in India's northernmost state of Jammu and Kashmir. The valley got its name from the Sunny Deol-Amrita Singh hit debut film Betaab. 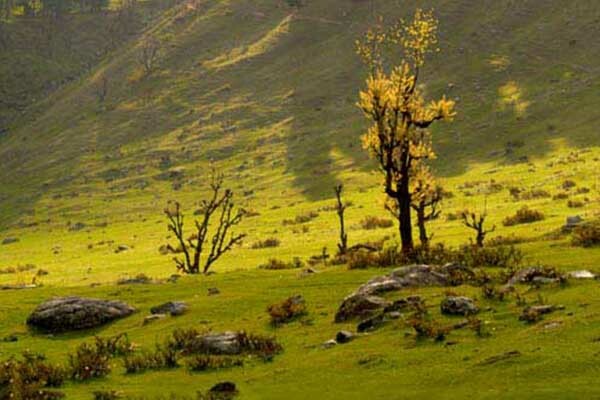 Earlier known as Hajan Valley, after the release of the movie, it was renamed as major part of the movie was shot here. 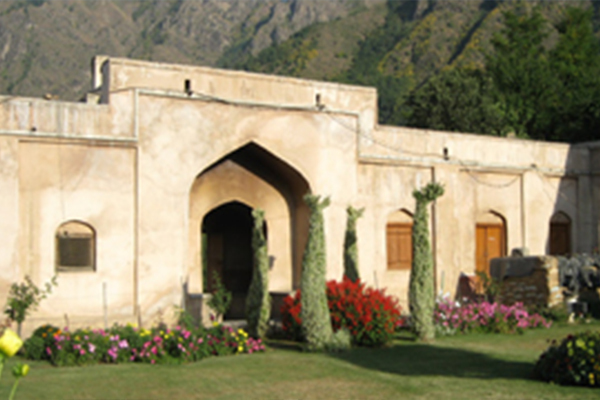 Set amid picture perfect environs complete with snowcapped mountains, gurgling streams, colorful willow trees & the warm sun; making it an ideal for an artist’s canvas! 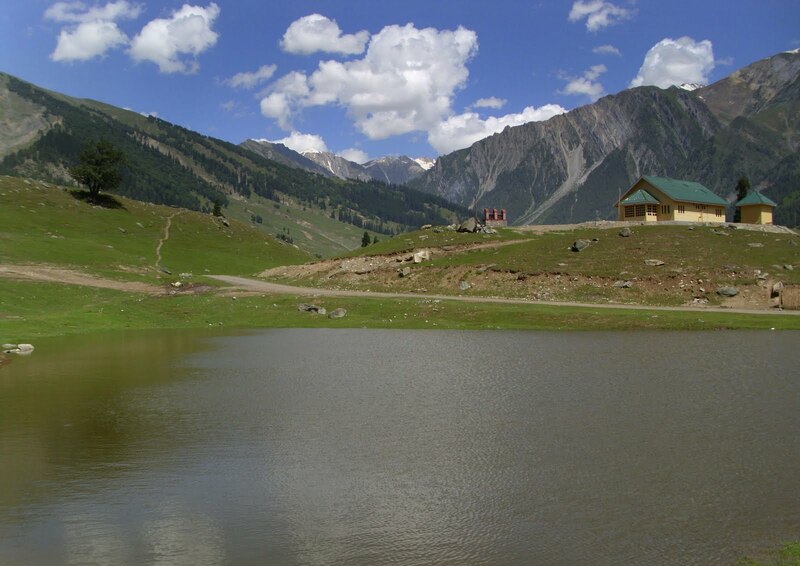 Aru Valley is a small yet self-sufficient scenic village located 15 km from Pahalgam. The drive up to the village is alluring too. The location of the village among the grasslands, make this place a tourist delight. It is reachable by walking along a mountain path. The village also serves as the start point for trekking to Kolahoi glacier. 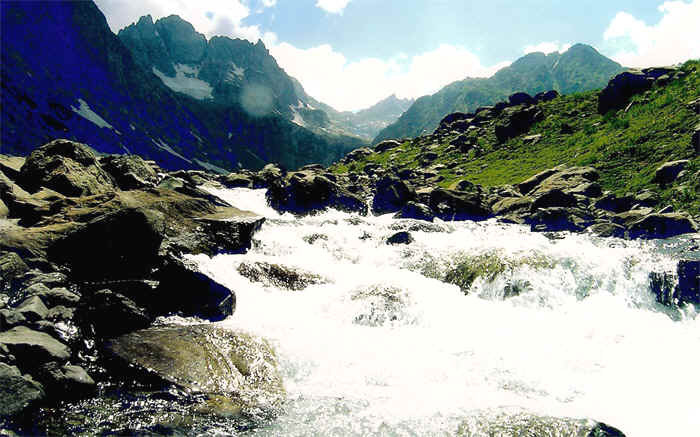 Another long trek for the serious trekker is to Sonmarg, which can be covered in 3 days! Besides, the valley is also known to be a good site for camping. 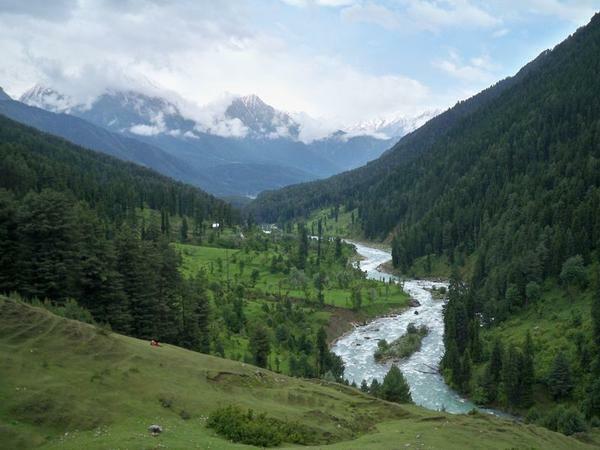 Located 15 km from Pahalgam, the scenic spot of Chandanwari leaves the traveler mesmerized in its beauty. Snowcapped mountains & a huge glacier in the vicinity, its beauty is awe inspiring. This is as close as you can get to the Amarnath Yatra by vehicle. 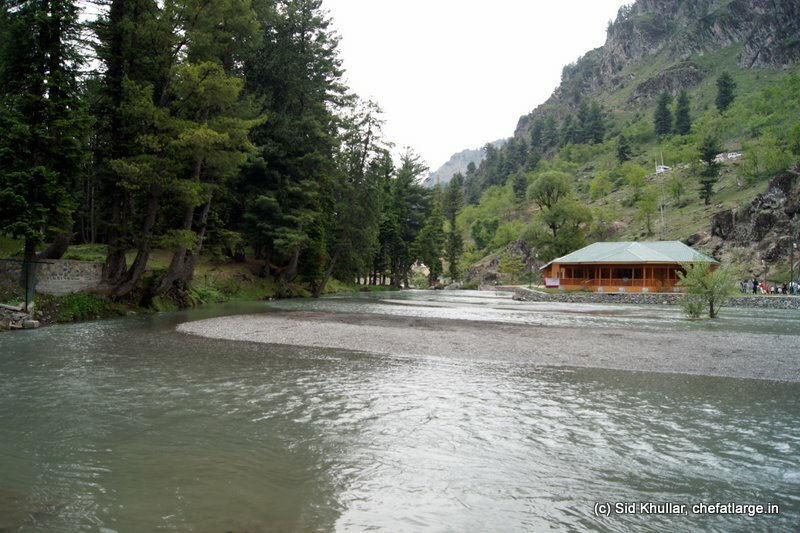 The spot is reachable by road transport, mini buses can be opted from Pahalgam. Be prepared for the weather to take sudden turns from warm to chilly breezy & rains too!